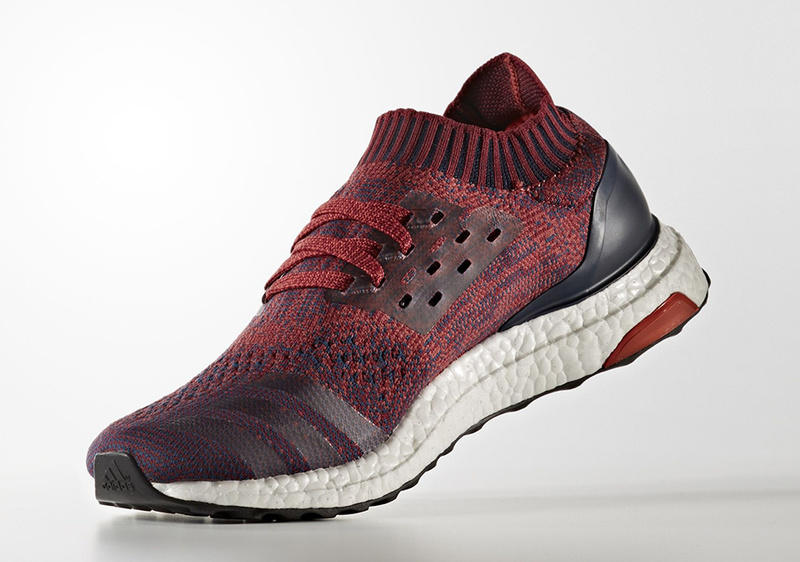 The adidas Ultra Boost continues to be one of the most sought after models on the market as it found the perfect combination of performance technology with Primeknit and Boost while remaining a must-have in the lifestyle department. 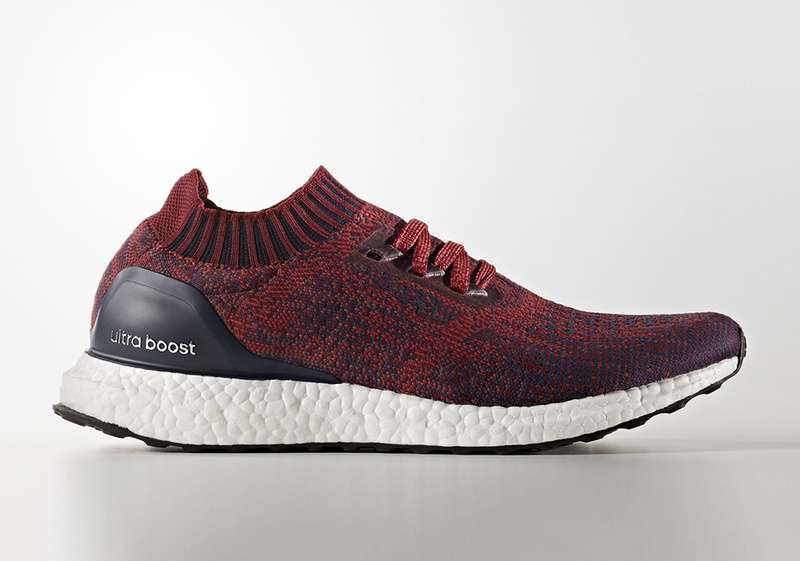 For those of you looking for to switch things up, there’s always a strong alternative with the adidas Ultra Boost Uncaged, a pair that ditches the protective three stripes-branded cage overlay for a sleek slip-on Primeknit upper. Today we get a look at a colorway that should make Cleveland faithful happy thanks to a nice combination of Maroon and Navy for a Cavs-centric release slated to arrive this Fall/Winter 2016 season. The gradient focuses more on navy by the toebox with the three stripe branding nearly camouflaged on the medial side. 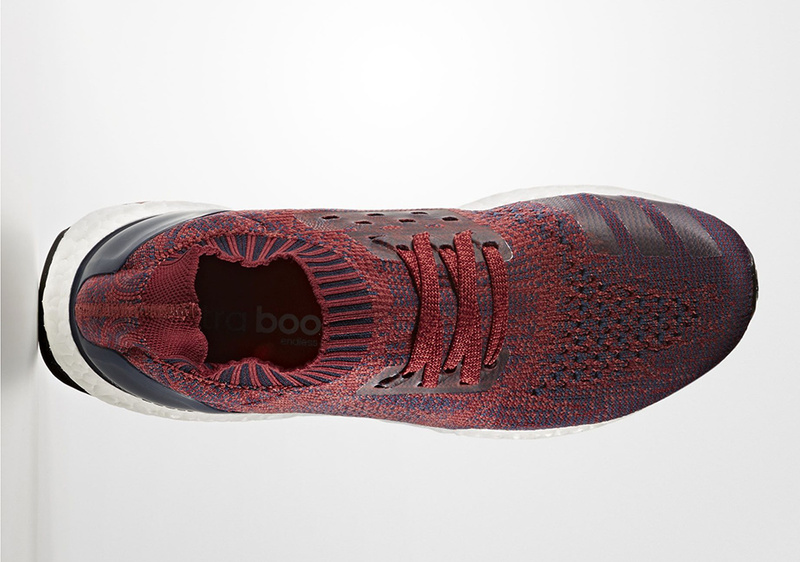 The heel cage stands in contrast to the Maroon Primeknit throughout with an obsidian finish. 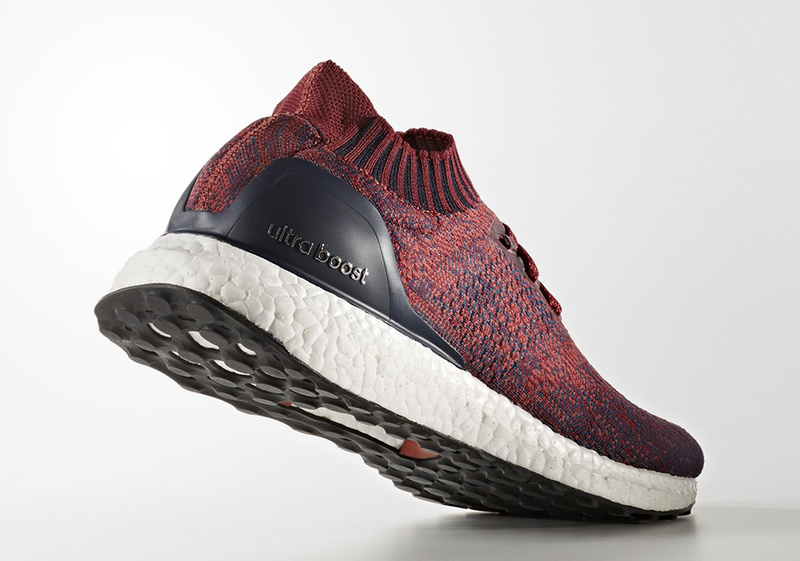 Continue onward for a better look at the latest upcoming adidas Ultra Boost Uncaged colorway and we’ll keep you updated on a release date in the near future right here on Sneaker News.